SLS: Is a Podcast just a Radio Show? - ... See More Is a Podcast just a Radio Show? - Is Podcasting just a Radio Show? - How to Sort Episodes in Spreaker? Sort the order of your episodes. 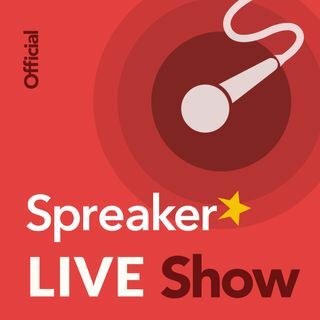 Changes made will be applied to Spreaker’s website, apps, and embedded players, as well as Apple Podcasts. Manage and create seasons for your podcast and label episodes according to type. Changes made will be applied to your RSS feed as tags and will only be visible in Apple Podcasts. SLS142: Is It Ok to Podfade? Published on January 10, 2018 3:15 PM. Published on January 3, 2018 3:15 PM. - Avoiding Splitting Distribution: RSS Feed, Cache, Plays Losing Stats and Money? Fabio Arauz (Podcast Movement Facebook group) I started a podcast a few months ago and only host it on SoundCloud/YouTube. Where do you guys suggest hosting and why? Does the content decide where you should host? Thanks in advance! Pod Vader Let's not get confused with what you are asking. Most veteran podcasters hear "hosting" and that is the place you physically upload your podcast to be housed and distributed - places like where I work, BlogTalkRadio, or Spreaker, or Libsyn, or Blubrry, or as you mentioned Soundcloud. From these single destinations is where you want to distribute to as many other listening destinations that you can - Apple Podcasts, Stitcher, TuneIn, Player.FM, etc. Important that you don't "host" your podcast with multiple companies - 1) it's redundant and 2) that redundancy will cause you problems with tracking listening data and monetization. So, host with only one company. Distribute the podcast via your RSS feed from that one place to many different listening destinations. Justin Cooper (Podcast Movement Facebook group) How many listeners should you have before you start thinking about sponsors? And what are the first steps to take in getting sponsors? PodVader: This is much more complex than the simple question that you ask (I should write a blog post about this). As Marc Farquhar noted, alot depends on different factors. Let's start with scenario #1 - the typical podcast advertisement you hear. The Host Read or Live Read on a podcast from a direct response advertiser like Mail Chimp, Blue Apron, Casper, etc. These advertisers are typically only working with bigger podcasters and that starting point is around 10000 listens per episode (some will say within 30 days, within 24 hours, I refer to it as the average number of listens you get once you post a show until the time you post another new show). There are ways around this. Scenario 1a: you are working with a network that is able to bundle podcasts together to reach the numbers that the advertiser is looking for. This has been happening, but isn't as successful as the logic might sound. Scenario 1b: you have content that delivers an audience that specifically matches what the advertiser is looking for. Blue Apron loves millennial moms. If you have show that has a large audience of young moms, Blue Apron is looking for you. Scenario 2: You want those big brand name advertisers that you might hear on podcasts from the company I work for - BlogTalkRadio. That's because we created a unique monetization system that delivers revenues to any podcaster no matter how large their show is. Obviously the larger your show, the bigger the revenues you will earn. We recently merged with Spreaker and there's a big announcement coming so stay tuned. Scenario 3: You have a unique audience that is underserved, but they are very valuable despite being smaller than that 10000 number. I call this the Glenn Hebert scenario. He has a whole network of Horse podcasts. Horse trainers/farmers/breeders are a very valuable and monetizable niche and Glenn serves them quite well. He's able to get all sorts of sponsorships because of that audience. If you are doing a sports talk show or a pop culture show or even an entrepreneur show, the likelihood you'll be able to get the deals that Glenn gets are very slim to probably not going to happen. There are other scenarios that I missed, but just note, there is more than one way to skin a cat and more than one way to monetize your podcast. You just need to determine what is the best fit for you and your goals. Hey! I just found this podcast...many thx...great info to get me out of my podfade status ! Happy New Year! I like the banter and news which are well balanced and should stay that way. I have been very busy with AIS and OTC content elsewhere. Sitting back and waiting to see what is going to happen with the BTR merger and how things will change. Great show guys! Now go make some money, but stay off my lawn!!!! rob@spreaker.com: Thank you for the show. FEEDS: Its Good to pay attention with Technology... CHANGE. Hosting Services compete for our CONTENT. Da KING is... "CONTENT". FANCAST: Sounds like... Walking DEAD, etc. Listening to your Audience DRIVES your CONTENT if you are listening. As I listen: Seasons: If your content is wanted by your Audience then the can not wait till the next Season.. Good Content stands on its own.. people share... good content.. does not matter what the TOPIC or Genre, etc. IS. Thanks so much for covering this topic Rob and Jay. The fact that we can disable the RSS here on Spreaker is huge. I imported one of my Anchor feeds here and recommending others on Anchor to do the same. Now I can use that gorgeous Spreaker player with a custom image and layout when I want to embed an episode on a blog post. Cheers! It might be best if Spreaker submit our shows where they think they are needed automatically somehow. You mentioned Tunein. I did have a problem trying to submit different categories of my shows to Tunein. There was something not right with the feed. I didn't know how to solve it. What's going to happen when podcasting starts looking like video and TV? What change will that bring? There is always change. Online, you don't have to worry about AM and FM do you? Computers and technology has brought constant change. Radio and Podcasting is starting to look like one together to me. People just want them to stay different. Radio is able to bring us the best hit music where podcasting cannot. IHeart radio appears to be joining with podcasting, but radio is mainly music, and podcasting is more within itself. Online there is change. Nope.. None planned. What is coming is a big addition, not a replacement or change to anything existing, other than regular improvements to both. No worries. Will we be hearing about any plan and pricing changes coming with the merger with BTR?